William Nylander had one mission in mind when it came to a recent charity event: get the better of anyone who wears a blue and white hockey sweater. 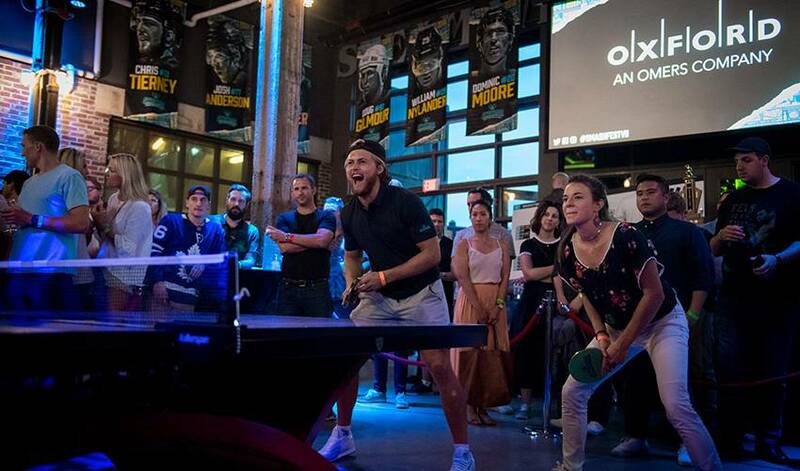 Flying in all the way from Sweden for the recent Smashfest ping-pong event that took place in Toronto, Nylander, there to support former Maple Leafs teammate and current free agent Dominic Moore, had one specific goal as to what he wanted to accomplish that evening. He hadn’t made the trek from Europe to walk away empty-handed, did he? Good-natured ribbing aside, the 22-year-old was able to achieve what he had set out to do. While Anaheim Ducks forward Patrick Eaves was busy serving up his fourth straight Smashfest title, Nylander, participating in his first Smashfest event, celebrated a crown of his own. Taken by Toronto with the No. 8 pick in the 2014 NHL Draft, Nylander took top honours in the Pro-Am tournament, with his team getting the best of Malcolm Subban’s of the Vegas Golden Knights in what was a close match. Nylander, son of longtime NHL forward Michael Nylander, is hoping his winning ways carry on once the puck drops on the 2018-19 campaign. While he’s spent a fair bit of time on the links during the off-season, Nylander, whose brother Alexander was selected 8th overall by the Buffalo Sabres in the 2016 NHL Draft, would love to put away his clubs until later on in 2019. With the Maple Leafs coming off a 105-point regular season that was followed by a disappointing first-round playoff exit against Boston, it’s a highly motivated group – one that now includes offensive star John Tavares – that will set their sights on much loftier goals. Including the man who already has one trophy to his name.